I'm looking for a php script that allows my users on my site to chat with a support agent. I'm looking for something like this but without being so expensive. Context: I am running a Minecraft hosting company and I would like live support to aid my users in either sales or support. I will take recommendations for a monthly price as well (so long as it is not per-agent) but it is preferred for a one-time price. Since the item is no longer available, if you need an alternative and also opensource, you can try ppmessage. 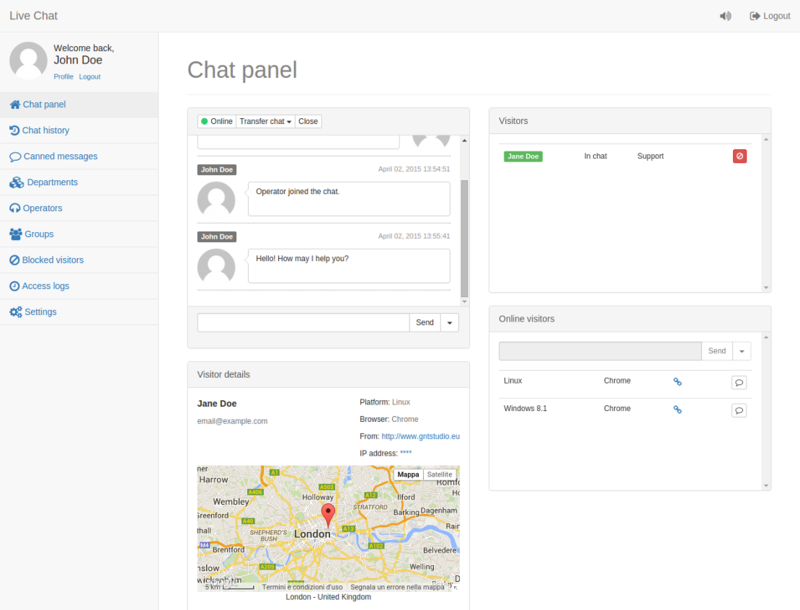 With PPMessage, you can chat with visitor or customer via Web or mobile App as open source Intercom alternative. Classic occasions: suppose you have a website with its own user system and you integrate PPCom with you website. Your website user can perform operations like sign in, change profile and log out. When user performs these operations, you should invoke Web SDK API to display PPCom correctly. Then go to 127.0.0.1:8945, and follow the instruction. And here is interesting part, it has test function, to make sure everything is work, go to 127.0.0.1:8945/ppconsole/#/app/settings/integrate. You will see in the right bottom an icon to chat, that's for customer. And go to 127.0.0.1:8945/ppkefu/#/app/conversation-list as web administrator to reply the chat. Not the answer you're looking for? Browse other questions tagged chat php or ask your own question.